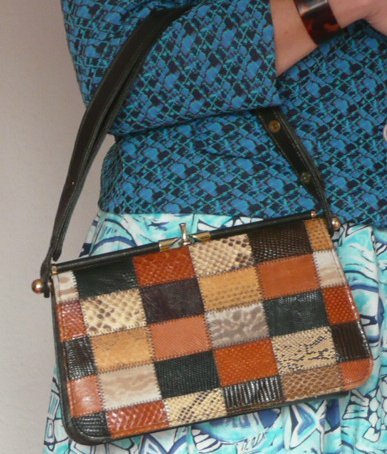 Vintage early 70s/late 60s patchwork leather hand/shoulder bag by Kilmor. 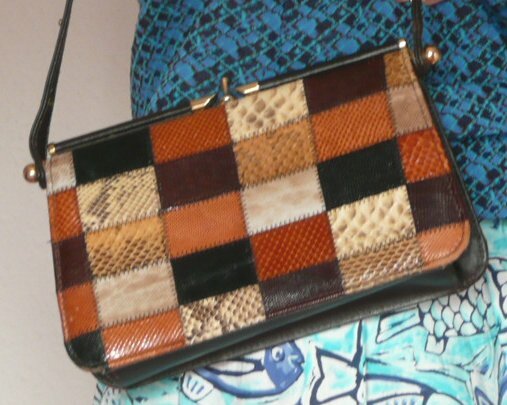 Gorgeous handbag, with patches of multi-coloured and -textured leather by Kilmor, is stunning both inside and out. It features a poppa'd strap, which can convert it from a hand to a shoulder bag. 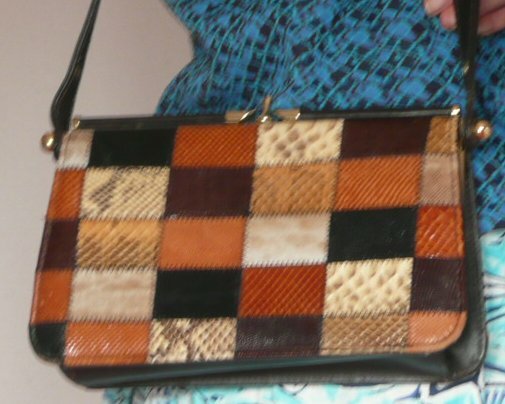 The front and back are both patched with lizard and snake skin; the handle, sides and base are plain dark brown. Internally, there is an almost indecipherable label, and three pockets, one zipped. It is beautifully clean throughout, in almost unused condition (slight signs of use to the strap), and measures 9 ½ by 5¾ inches (29 x 14 cms) approximately.